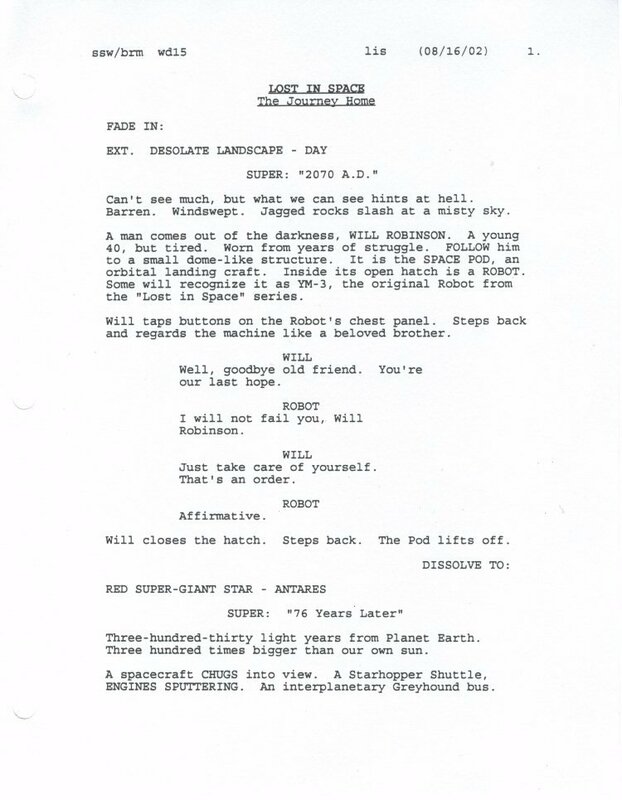 In 2002 a script was written that would have really hit a home run with LIS classic series devotees. A planned telemovie for NBC which was to reunite the surviving members of the television series. After the passing of Jonathan Harris in 2002 NBC decided to drop all plans to produce this script. 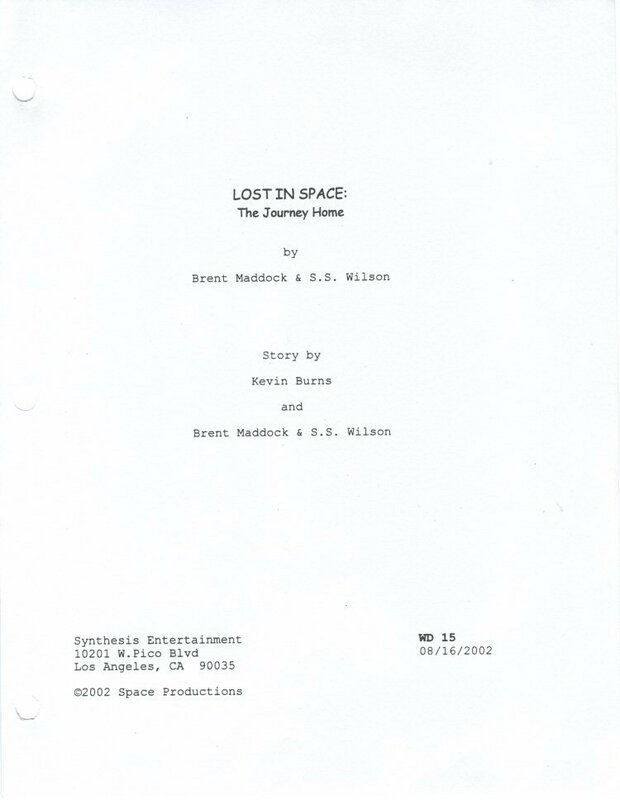 Many thanks to Kevin Burns for giving me a copy of this script. Also, a special thanks to Mark Goddard for autographing the script. 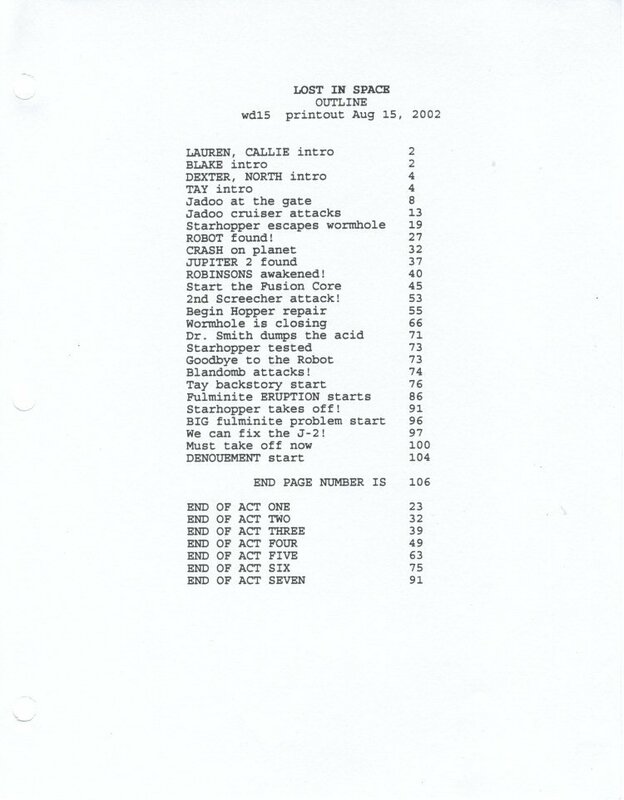 Here are a few pages from the script. I will add more pages in future updates.